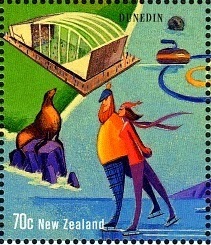 It was a similar format featuring various places around New Zealand in stylised/cartoon type illustrations on a map of New Zealand. Some of the places and scenes had been seen in the first series, but here many were completely new. We have laid out this post with a brief summary of the series taken from the NZ Post web site. Then we show the actual sheet as it was issued. Below this you will find a set of three First Day Covers. 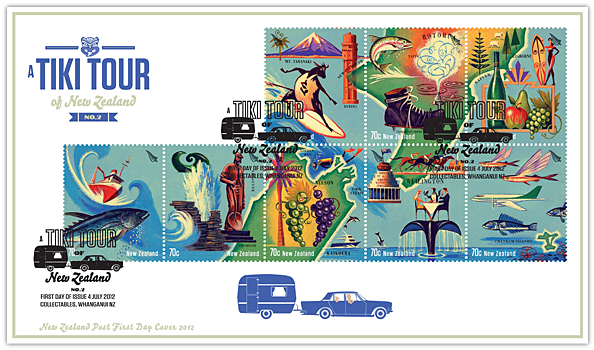 Finally we have laid out all 20 stamps separately with some information about places shown. Your 'Tiki Tour' starts here! Start up north where there’s a bloke holding a sign that says ‘Go’ and you’ll soon be amongst the great kauri forest, and picturesque Bay of Islands. While you’re there, why not take in some history at the meeting place of Pākehā and Māori peoples, and perhaps even sail through the hole in the rock at Cape Brett? As you reach the City of Sails, you’ll come across the iconic Harbour Bridge. Carry on through the Coromandel – known for its beaches as well as its pottery - and you’ll soon reach the mighty Waikato, where equestrian activities take pride of place. 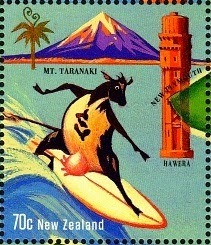 Taranaki is dairy country and also a great place to catch a wave – perhaps you’ll spot a surfing cow! Stop in for some trout fishing at Taupo or experience the thermal wonderland of Rotorua before reaching the East Coast – an area that combines art deco architecture with fabulous vineyards and orchards. In the nation’s capital, the Beehive is hard to miss. You might not dine on the tail of a Kaikoura whale, but you can’t pass through without experiencing the café culture and fine dining on which Wellington prides itself. Cross the Cook Strait to the fantastic scuba diving spots of the Abel Tasman region, before immersing yourself in the Marlborough wine country. Experience the Cantabrian spirit in New Zealand’s garden city before taking on a little adventure in Queenstown – whether it’s bungy jumping or jet boating, you’ll need to hold on to your hat! Farther south, take in a match at Dunedin’s new stadium or sing a little country music in Gore. Why not do some seal-spotting while you’re there and maybe even venture over to Stewart Island for a touch of fishing? But whatever happens, be sure to take it easy and enjoy the scenery! You may have reached the sign that says ‘Stop’, but the journey’s not over! 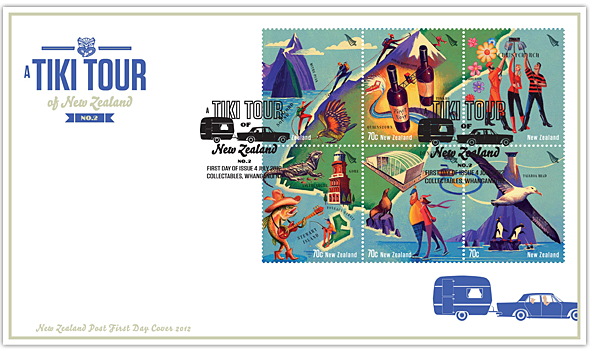 Take the Tiki Tour again and you’ll discover even more unique sights that make up the land us Kiwis call home. 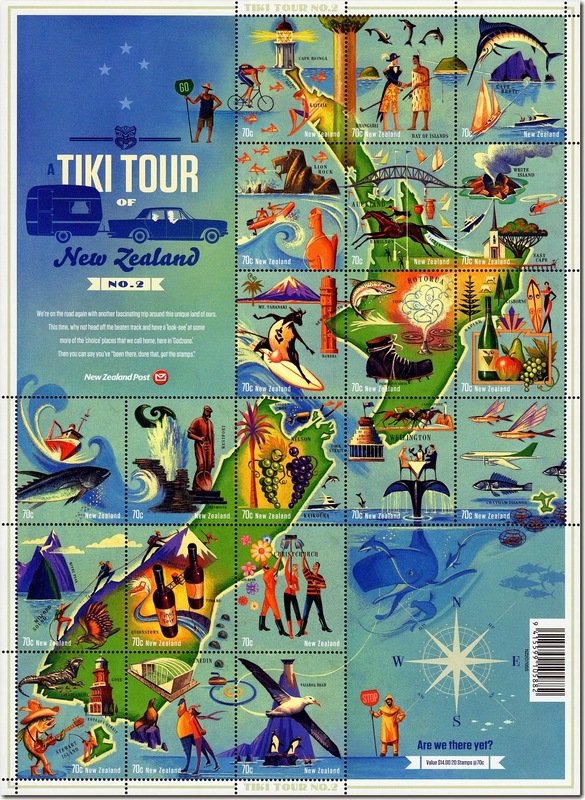 The issue only appeared in this full sheet format containing 20 stamps. 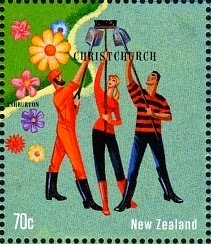 Separate stamps were not sold by NZ Post. Also on sale were a set of three Special Covers used mainly for First Day Covers. Notice the car & caravan cancelation stamp on each cover. 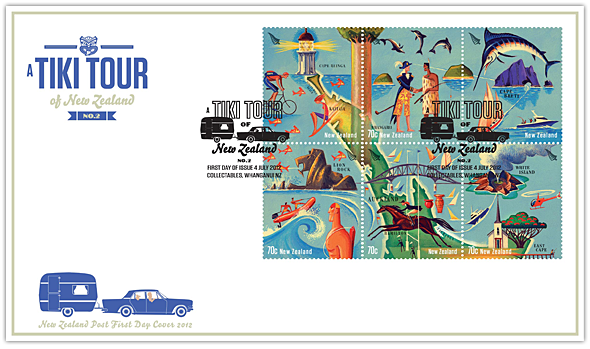 First Day Cover Three shows the last six stamps covering the lower South Island. 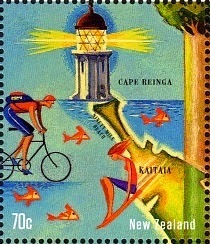 70c - Cape Reinga / Kaitaia. straight stretch of sand known as Ninety Mile Beach. Lighthouses - Government Life Insurance. 70c - Whangarei / Bay of Islands. capital, where Maori and Pakeha (European) met to sign the Treaty of Waitangi. Whangarei, further south, is the commercial capital of Northland. 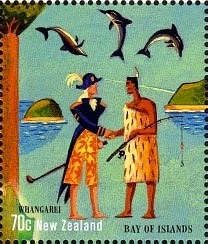 175th Anniversary of the Treaty of Waitangi. For an index to all our posts concerning The Maori People. 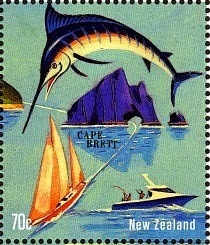 70c - Cape Brett / Piercy Island. On the outer edge of the Bay of Island lies Cape Brett with its famous lighthouse. regularly go through. The area is popular for fishing and pleasure craft too. 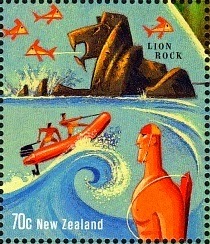 70c - Lion Rock / West Coast Auckland. these beaches popular for surfing. 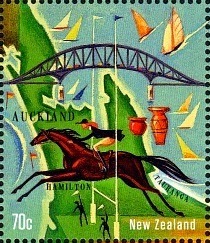 70c - Auckland / Hamilton / Tauranga. the Waikato farming region. Known for dairy and horses. 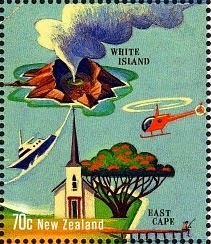 70c - White Island / East Cape. Eastern tip of New Zealand is called East Cape. 70c - Mount Taranaki / New Plymouth / Hawera. board adds a bit of humour too. 70c - Rotorua / Taupo / Palmerston North. appearing in the cloud from the volcano. 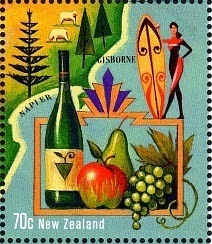 70c - Gisborne / Napier. a devastating earth quake that totally destroyed the city in 1931. 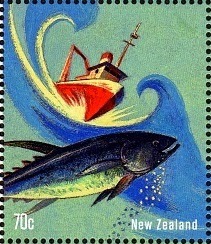 70c - West Coast Fishing. rougher than the eastern Pacific Coast. 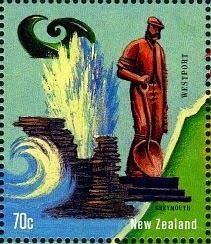 70c - Westport / Greymouth. Westport is a town in the West Coast region of the South Island of New Zealand. on a narrow coastal plain close to the foot of the Southern Alps. 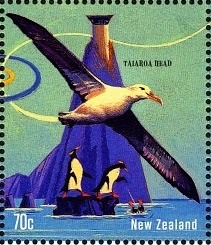 70c - Golden Bay / Nelson / Cook Strait. while across Cook Strait Wellington gets much more wind. 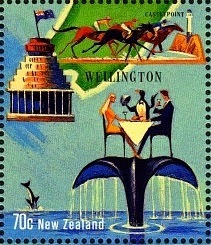 70c - Castle Point / Wellington. one of the buildings of parliament where the Prime Minister has his office. Away to the east is the spectacular Castle Point with its famous lighthouse. high-tide or in rough weather. here is based on fishing and crayfishing, with a bit of farming and tourism. 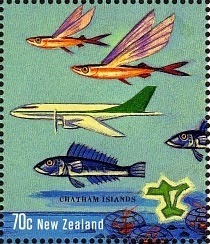 I am unsure why that aircraft is taking centre place on the stamp. 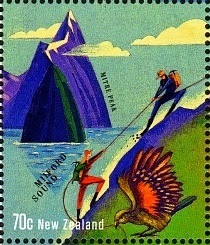 70c - Mitre Peak / Milford Sound. regions of the South Island. 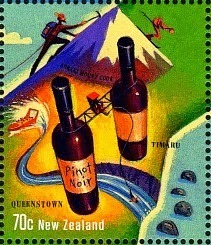 70c - Aoraki/Mount Cook / Timaru / Queenstown. Māori form, but today it is normally referred to as Aoraki/Mount Cook. 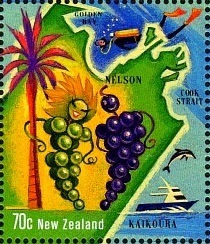 growing country with many of our finest reds produced in this region. 70c - Christchurch / Ashburton. 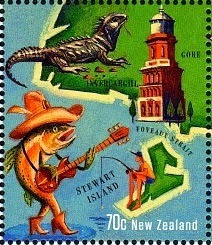 70c - Gore / Invercargill / Foveuax Strait / Stewart Island. protected in various conversation reserves and parks. Check out that folk singing fish. become one the more important ports of the young country of New Zealand. guided shipping into Port Chalmers, the port for the city of Dunedin. The tower was built from stone quarried on the site. 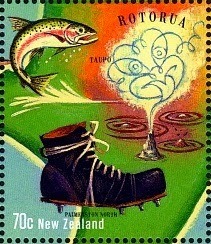 1972 - 1973 Scenic Stamps.